Yes! It’s Friday! Thank God! I need a break from this place they call “work”. On Fridays, I’m typically very casually dressed and because I work out in the morning on those days, I usually have to get ready in a quick hurry! As you see, I have no foundation on, However I took the time to put on some Bare Minerals Eye Shadow, Candy Cane Lip Gloss, Eye Liner, and Mascara! This took not even 5 minutes, and I was out the door! See it didn’t take much at all! I wanted you all to see these items so that you can see you can create this look for yourself as well! 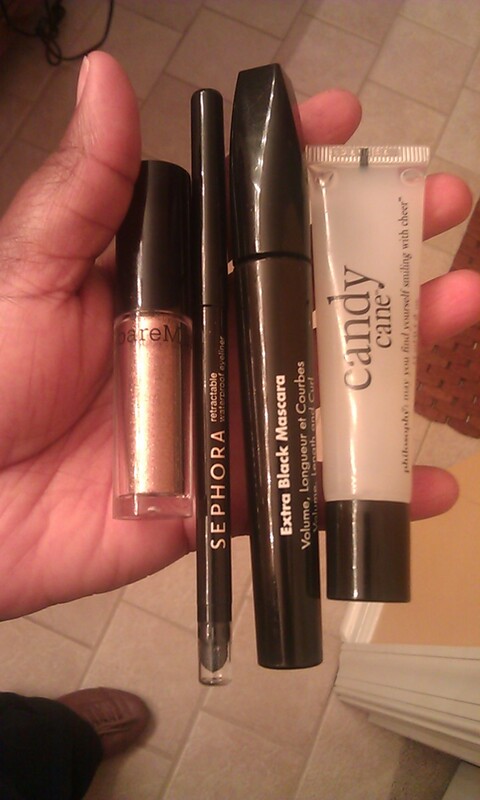 You can use a pretty sheer color for an all over eye color, your favorite black liner (I LOVE Sephora’s Brand!). Makeup Forever’s Extra Black Mascara I have fallen in love with and it really opens up my eyes! After that, all you need to do is add the lip gloss that you love! I love this Candy Cane Lip Gloss from Philosophy. It makes your lips tingle and feel very moisturized!! That’s it for now! Hope you liked this quick fabulous look! 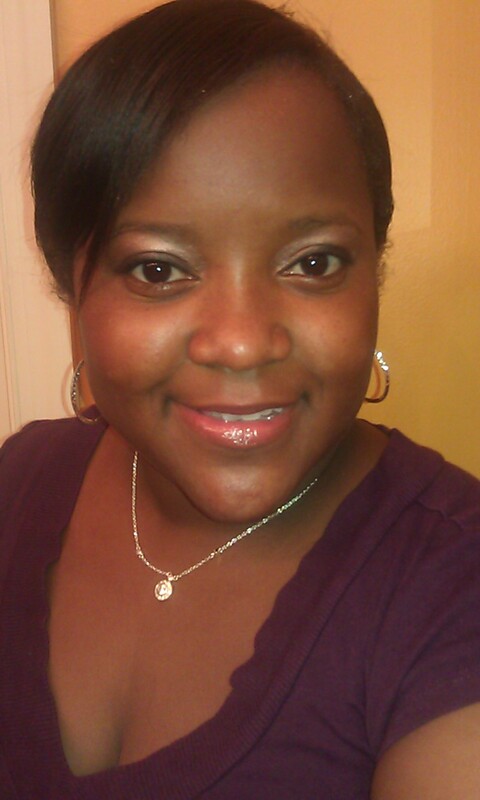 It’s all about being comfortable with yourself and just simply enhancing your natural beauty! You definitely have it! ← Don’t Block Your Blessings!